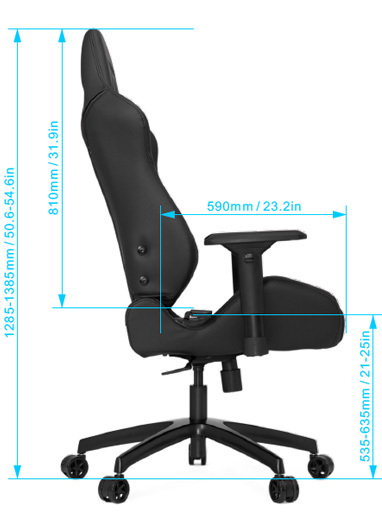 Plus Line is designed for comfort and equipped with superior ergonomic features. 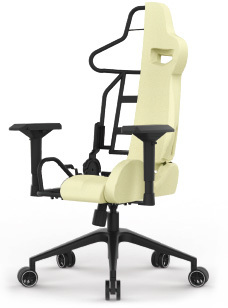 Industrial strength and extra large construction on padding and headrest provide extra support and durability. 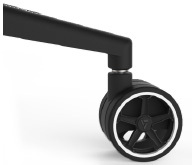 P-Line is a great fit for users desiring more space. While our competitors are still trying to make better looking plastic side covers, we completely decimated them. With our patent pending mechanical structure, we arranged all necessary parts inside leather cover to provide users a uniformed aesthetics. 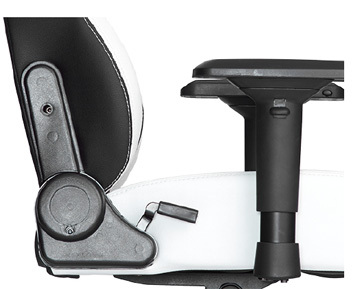 Users no longer need to align a tiny screw through a thick plastic cover with the tread buried deep inside leather and foam. 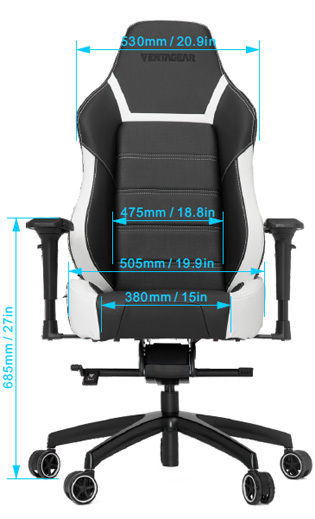 Designed to give a wider range of adjustability, PL6000 provides gamers the best comfort and support in every sitting position for extended period of time. 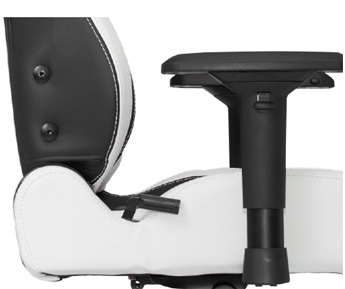 High backrest, wide headrest and seat base offer plus size users more comfort. This heavy duty base frame is constructed with industrial strength metal to support up to 200 kg / 440 lbs with long lasting comfort. 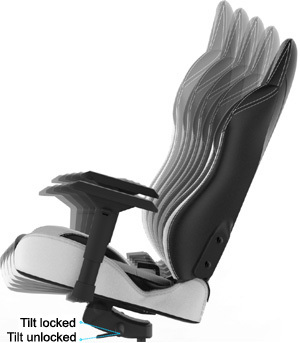 Armrests on PL6000 provide 4 directional adjustability for your flexibility and ultimate comfort. 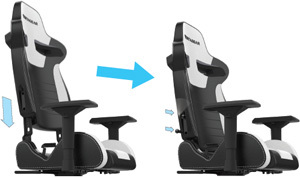 Either leaning forward during intensive showdown, or reclining backwards to relax, we have you all comfortably supported. 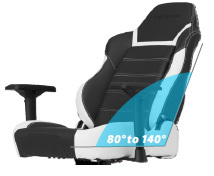 Our backrest can be adjusted from 80 degrees up to 140 degrees for 80° to 140° your ultimate sitting experience. 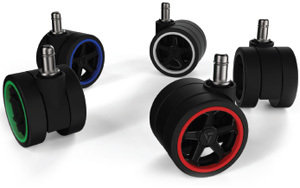 Pl6000 comes with 75mm PENTA RS1 casters that are coated with PU for quite operation and great resistance to debris. They are effortless to roll on all types of floorings, and will not damage the surface underneath. 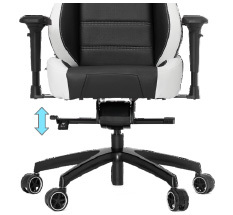 Our tension adjustable tilt mechanism is located on the side of the chair. comparing to traditional bottom placed adjusting knob, it is much easier to reach and tune to the most desired comfort level. 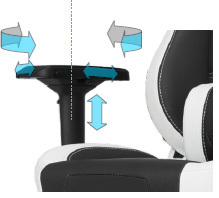 Our seat can be locked into 5 different tilted positions. 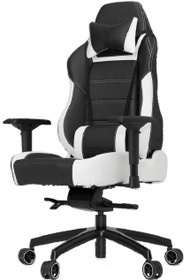 The Racing Series P-Line PL6000 chair will truly put you in the driver seat.